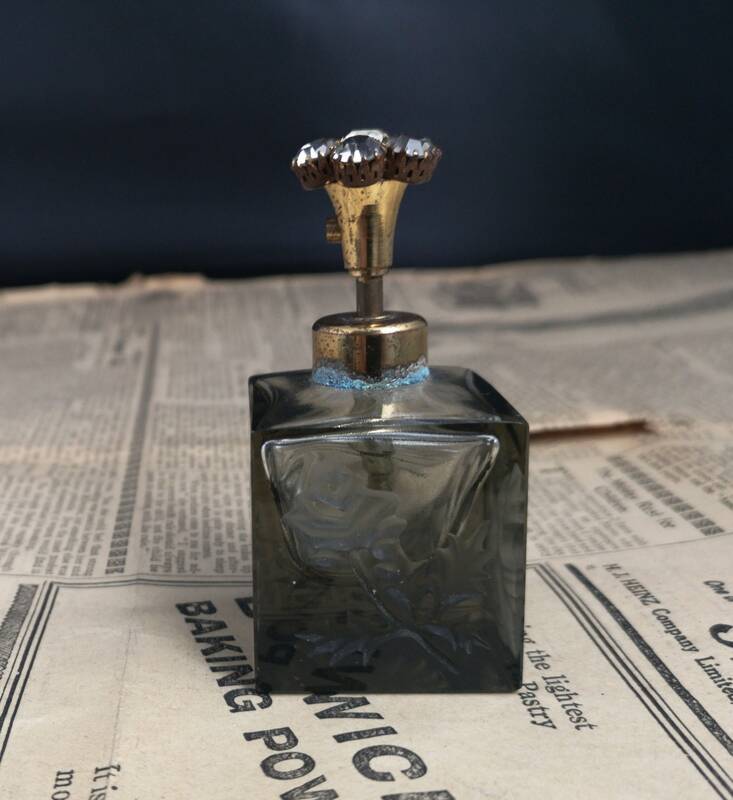 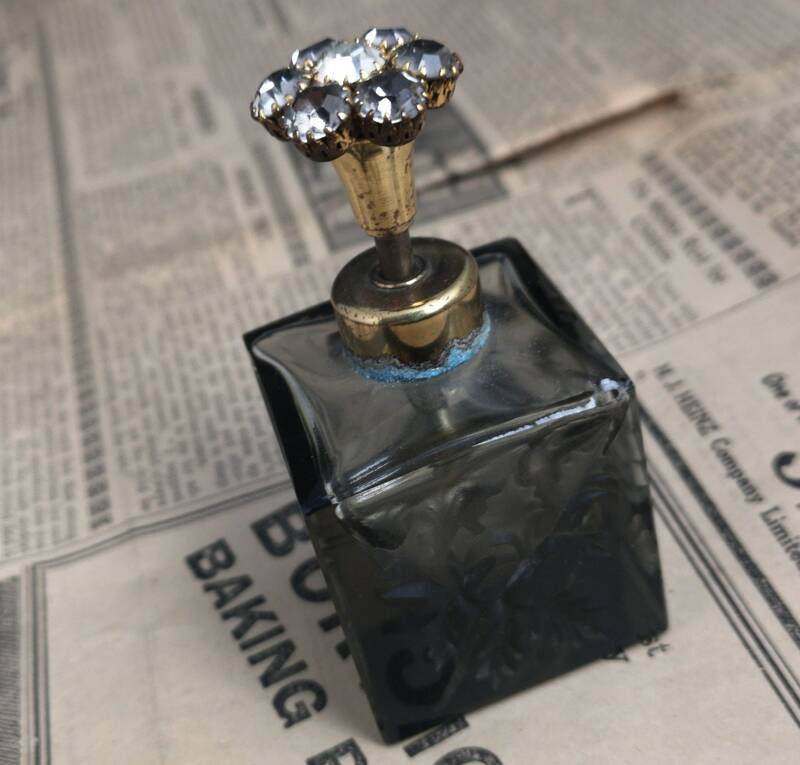 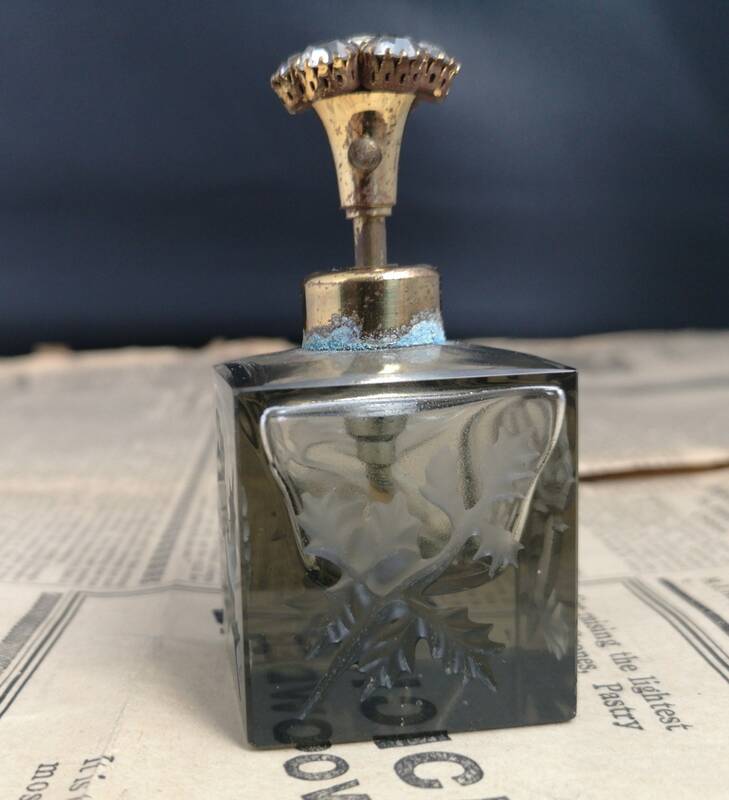 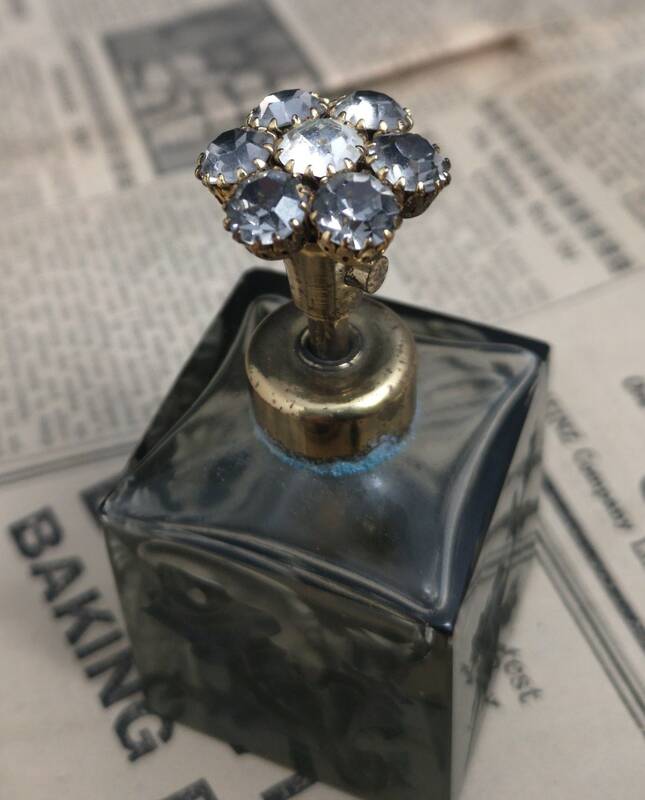 A truly beautiful Art Deco scent bottle with a built in spray atomiser. 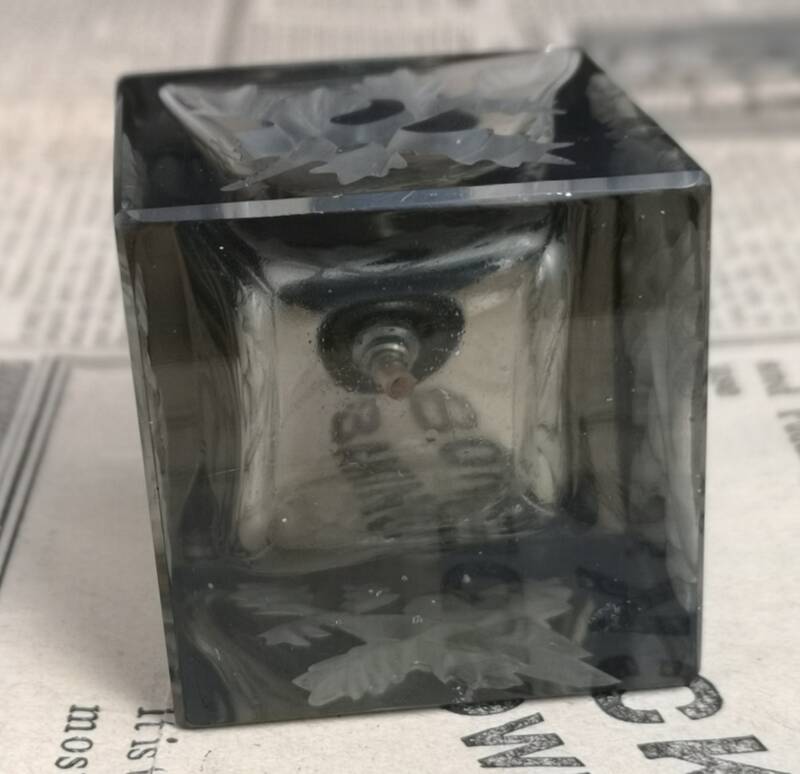 It us a cube form at the base made of a grey smokey glass graduating in shades, it is carved and etched with oak leaves. 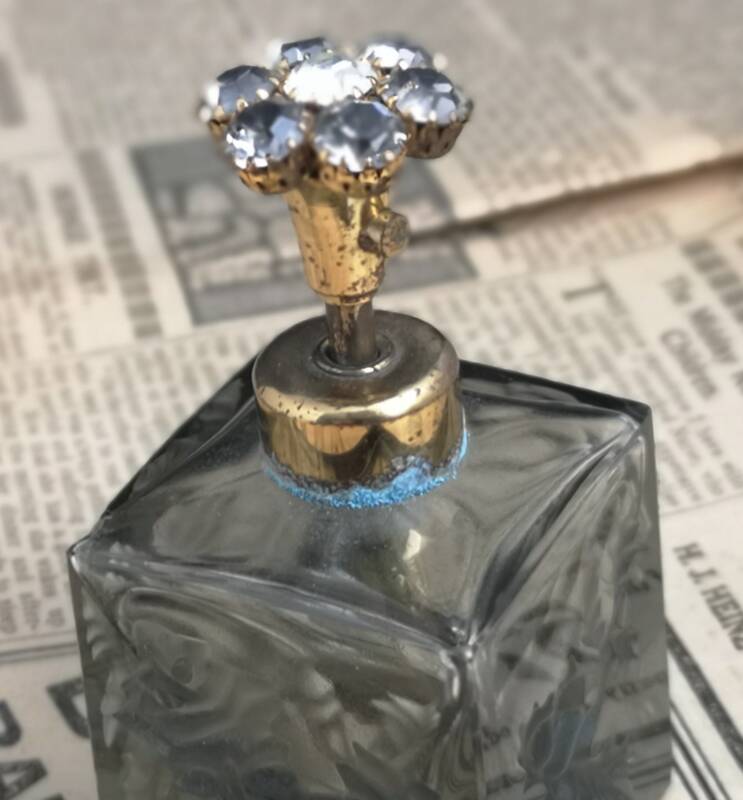 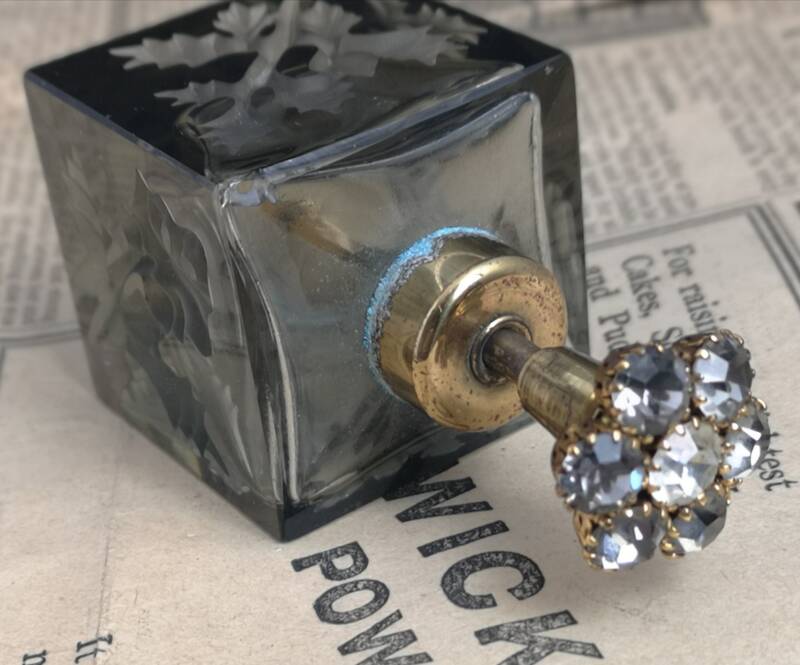 It has a gilt metal pump action top with the spray atomiser built in and the top is jewelled with glittery white diamanté. 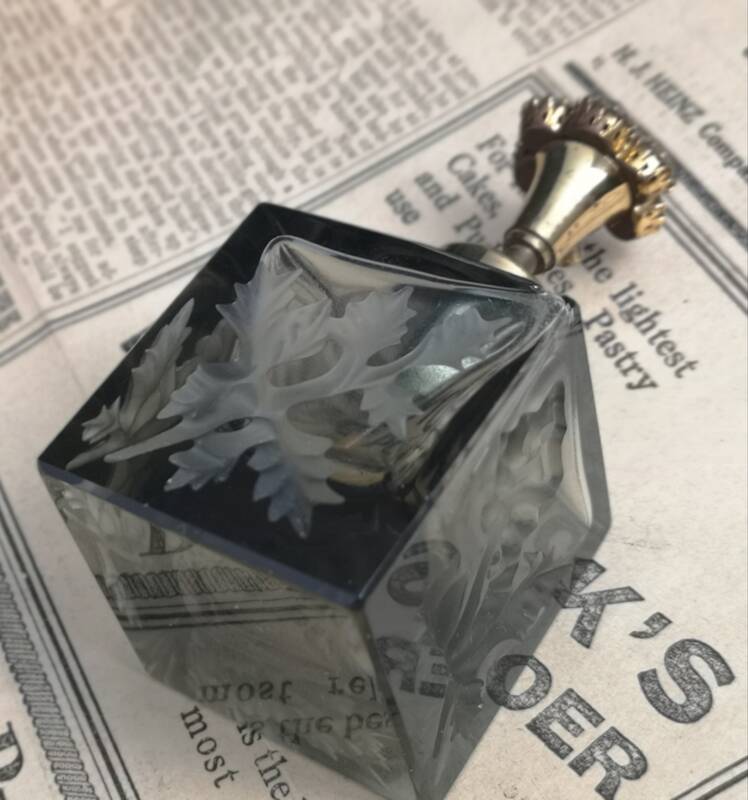 It is a very fine scent bottle English 1920's, Art Deco era. 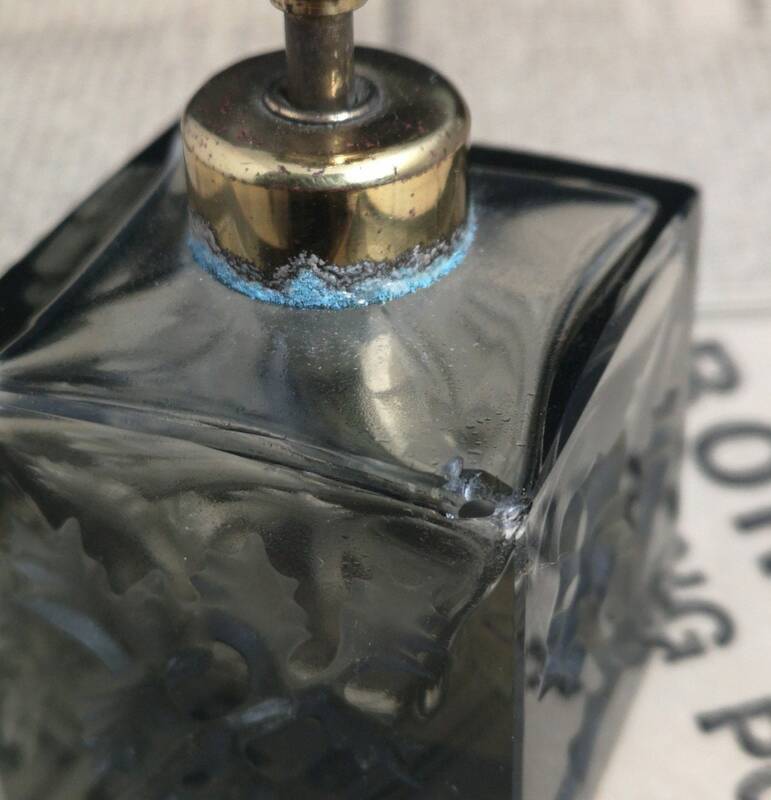 There is some wear to the metal and the scent bottle itself has a small chip in one corner which goes all the way through (see last photo) it would be best to fill this hole if using with scent as the scent will otherwise evaporate, price reflects this,it needs a replacement plastic tube.